Choosing which pushchair to buy can be incredibly overwhelming! I remember spending weeks reading reviews and comparing different brands until finally choosing the Stokke Scoot V2. It has everything that we were after: easy to use, folds small and looks good! We've been using the Scoot for almost 5 months now, so I feel able to give a detailed and honest review. The Scoot can either be parent or outward facing, and has 3 options: upright, reclined or flat which are controlled using clips on the back of the seat. 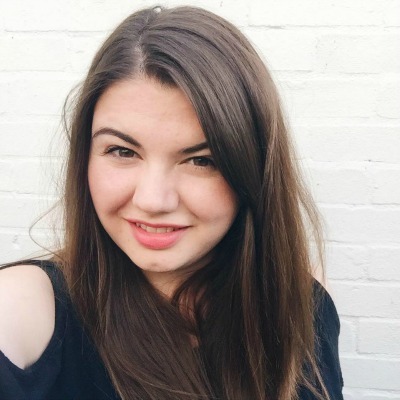 It is incredibly easy to switch between the seating options, although I would say that the flat option is not completely flat so you should bare this in mind if using with a newborn. Personally, we didn't use the pushchair often whilst Zach was a newborn and when we did it was for short periods of time so this didn't bother us. The Scoot is also compatible with car seats to make it a travel system. 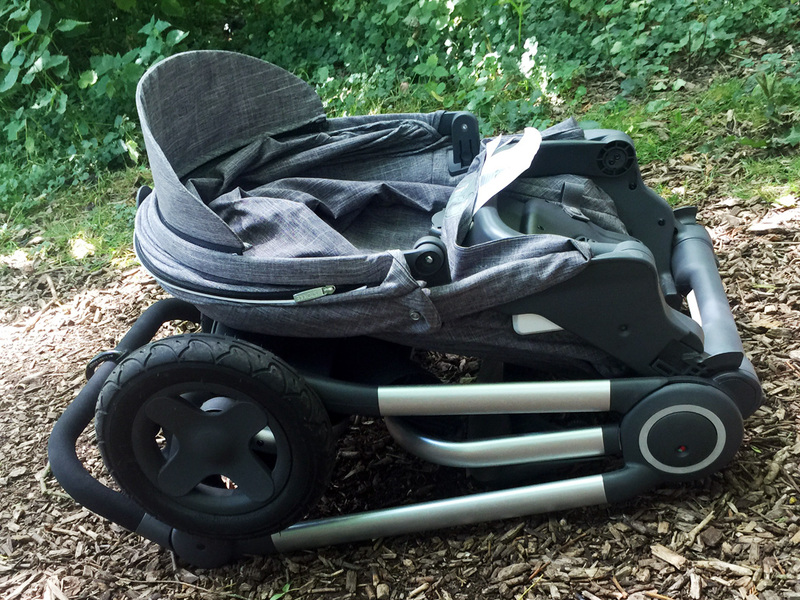 We have a Maxi-Cosi Pebble car seat which we attach easily to the pushchair with adapters which you can buy for all the main car seats brands. This was something we used a lot whilst Zach was a newborn, and it makes it easy to transport a sleeping baby from the car. The seat comes with a large hood which we have found really handy both when it is really sunny and when it is raining, although the pushchair does come with a rain cover and a mosquito net. 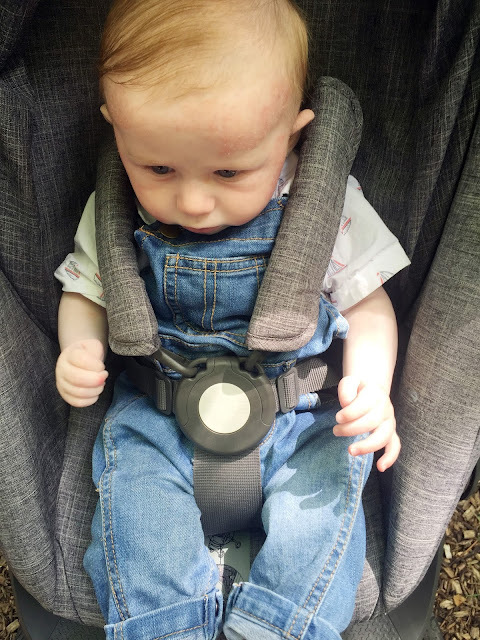 The harness on the pushchair is fully adjustable and is very secure which is really important as this is what keeps your baby safe. It is easy to use, and we have had no difficulties with it at all. The handle for the Scoot has three positions so you can adjust it according to your height. We use it on the middle option because it is the right angle to hang a changing bag on, and I'm also able to attach my handbag using a Mummy Clip *. The handle also folds in completely which is really handy in restaurants as it means you can turn the pushchair to face the table as if it was another chair. It is also useful on public transport as it makes the pushchair more compact. The Scoot is easy to push and honestly just glides along. We have had one issue where the front wheel came off after we pushed the Scoot on a very bumpy country path. It was easy to fix though, and since then we have had no problems. The wheels are filled with foam which means that there are no fears of punctures. The basket was one of the selling points for me as it is really big and you are able to access it from all sides. This is really useful when out and about as it has a large capacity - perfect for when you go out shopping. The Scoot folds with the seat still attached using just one button, and this was probably the biggest selling point for me. I had tried the previous model of the Scoot and found it hard to fold (even though it is the same folding mechanism) but I've found the V2 to be easy as I can do it one handed. It does take two hands to unfold it though, however this is relatively easy too. The Scoot folds very small which is really important to us as our car has an incredibly small boot. 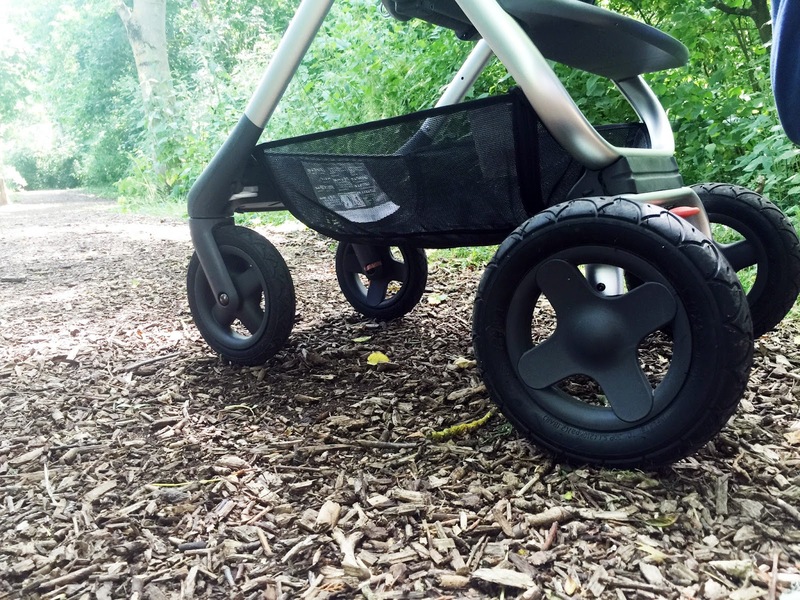 If you're looking for a compact pushchair then this really is the one for you! There are of course a couple of downsides to the Scoot as I think there will be with all pushchairs. It is made out of very light metal which means that it is a bit flimsy, however this does also mean that it isn't too heavy to carry. When we first received it the handlebar was not attached properly, however Stokke resolved this and after taking our chassis away they sent us a new pushchair meaning that we now have it in two colours! (We have it in Black Melange and Black). I have also mentioned above our issues with the front wheel, however this does not seem to be an ongoing problem. The only other thing I would mention is the price, which at just over £500 is a lot of money. 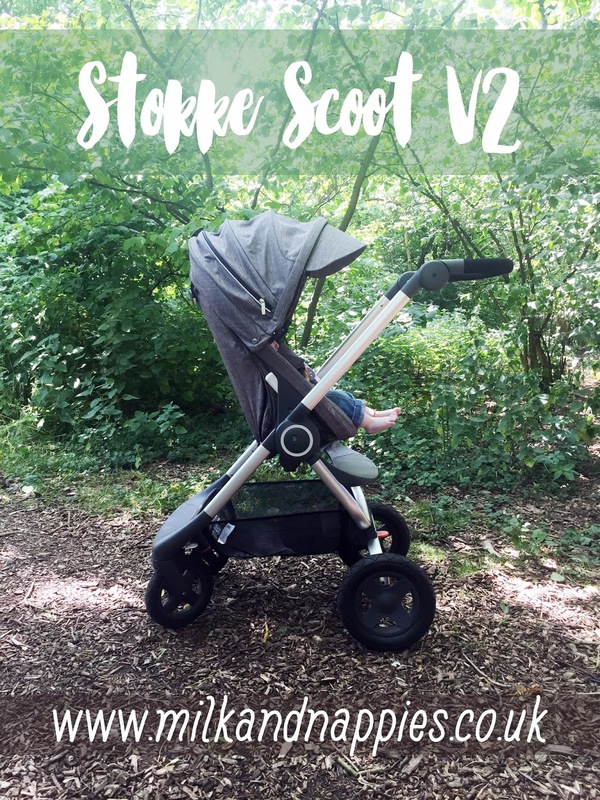 However, the Scoot is the cheapest model by Stokke by far, and I feel that you still get the perks of the more expensive models. It is also a competitive when considering the cost of similar pushchairs by other leading brands. I think you do get what you pay for. 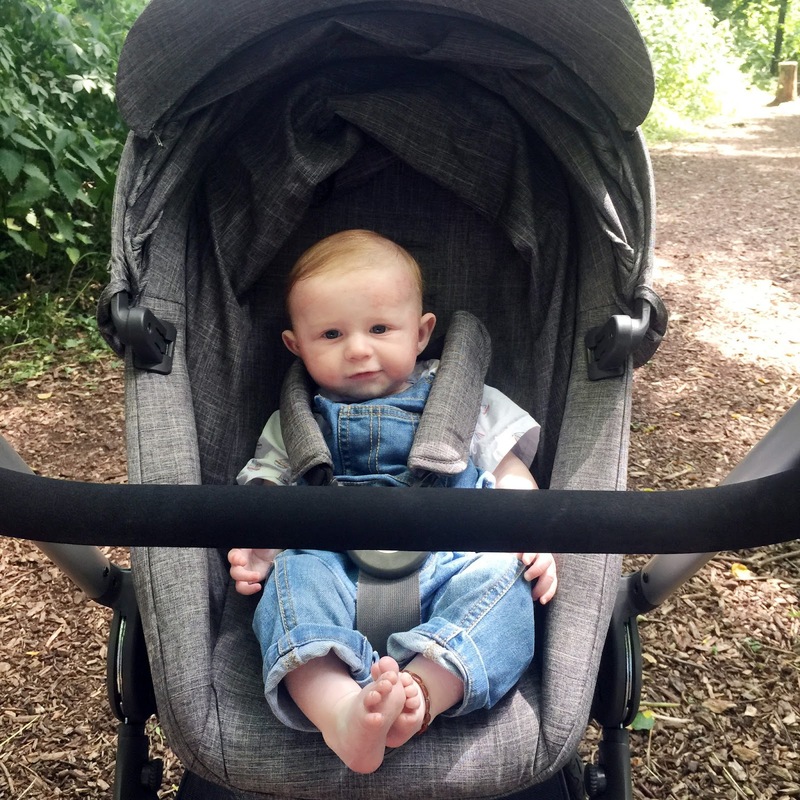 Overall I would definitely recommend the Scoot, and I am so glad that we chose it as our pushchair. It is easy to use, and it also looks so beautiful - I am obsessed with it's design, and I think it looks really modern and stylish. It is really compact which is perfect for us as we use it mainly in the city - it fits on public transport and in shops and restaurants easily. It is also a pushchair which is designed for use until 3 years old, which means that you will really get a lot of use out of it. We love it! We purchased the pushchair ourselves, and all opinions are my own.